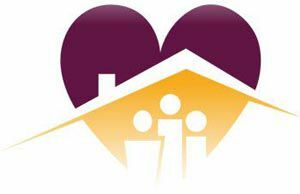 Prominent HomeCare Solutions is an affordable, non-medical in-home care service provider serving Collin County and surrounding areas. PHS is dedicated to improving lives through the compassionate delivery of quality care. Our team of professionals provide care solutions for you and your loved ones with personalized service, flexible scheduling and expertise. We have unmatched proficiency in issues surrounding senior care and put that to work for your loved ones every day. "WE ARE IN THIS TOGETHER", is no cliche'. Our mission is to ensure a better quality of life for the elderly and their families by providing dependable and affordable care. We are passionate about our home care services and offer a personal touch that enriches the lives of those for whom we care. Simply put, we love what we do. There is no more rewarding a profession than helping families care for their loved ones. Unlike dozens of companies in this industry, Prominent HomeCare Solutions is not a franchise but a state licensed, family-owned and operated company. We create an environment of engaged, compassionate professionalism that puts families and loved ones at ease. We understand how stressful it can be to have a loved one that needs help living independently. At Prominent HomeCare Solutions, we want to alleviate some of those stresses by giving you real-time transparency to the care process by helping to ease some of the logistical burdens with our online Family Room portal. With the Family Room available to you at no extra cost - you will be able to access records of care online from any device with internet access. Additionally, you and other family members can use a shared calendar to coordinate between yourselves and track visits scheduled by your caregivers, as well as to track invoices and enter payments . Additionally, whether or not you wish to access our online Family Room portal, you can choose to have invoices sent to you by email. Responsive, Knowledgeable and flexible- mom has dementia, caregivers are caring and communicate well. Referred by Rehab! Glad we chose them.